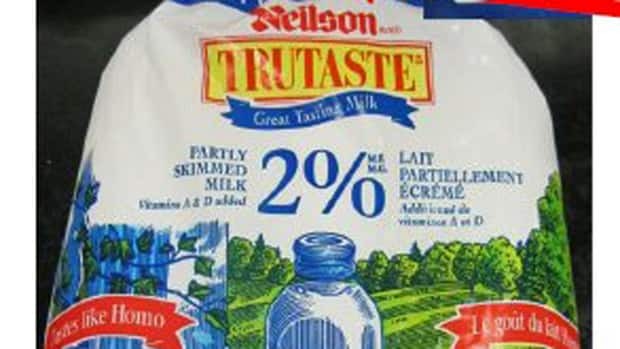 The Milk Board of Nova Scotia (the Government Milk Cartel) often implies that its existance is necessary to prevent unsafe milk from entering the market place. This is a false argument, the milk being recalled was poisoned by artificial chemicals; these chemicals are necessary because the milk is going to sit on the shelf for at least two weeks (likely more), given the stated "best before" is Feb 12. I would rather drink fresh pasturized milk from the guy up the road, than the "safe" milk that the government owned cartel dictates I purchase.